New musical trio, Beware Of Darkness recently released their debut EP entitled “Howl.” The fifteen minute, 4-song album features a rawness that is missing from a lot of today’s rock music. The title-song is a cross between The White Stripes and The Black Keys with elements of early Led Zeppelin blues riffs. The song “Ghost Town” sounds like a Goth-rock anthem infused with the blues, while “Culture Bomb” has elements of punk rawness. The EP closes with the deep, dark groove of “Holy Men” which brings up references to grunge legends Nirvana. Beware Of Darkness have a show scheduled at the Aftershock Festival with Stone Temple Pilots, The Deftones and Rush. 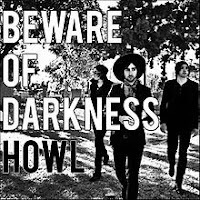 For more information on this rising band, check out bewareofdarknessmusic.com. 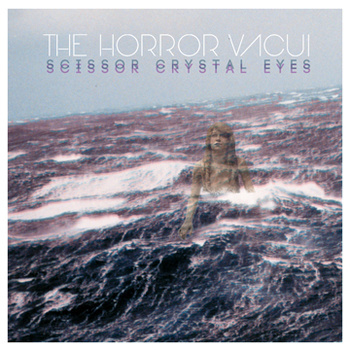 From Nashville, TN comes The Horror Vacui with a new EP entitled “Scissor Crystal Eyes.” The band has been receiving lots of airplay in their home state, but they are now looking to branch out into other markets. The sound on the new album begins with the garage rocker “Futile Arrangements.” At times their sound is similar to the alternative jamband powerhouse My Morning Jacket as in “All In My Mind” and “Time To Die.” The EP finishes with “Ink Spills” which builds with intensity through to its jamming finish. The Horror Vacui currently has no dates scheduled, but be sure to visit thehorrorvacui.com for upcoming live dates and song samples from the new album.